Many of you always ask me tons of questions when it comes to my Disney trips, so I figured I share an updated version of what you need to know. I feel each time I go to Disney I learn something new and not to mention Disney always has new things they add to the parks. I recently asked you guys what you would like to see when it comes to all things Disney and below are the most requested. 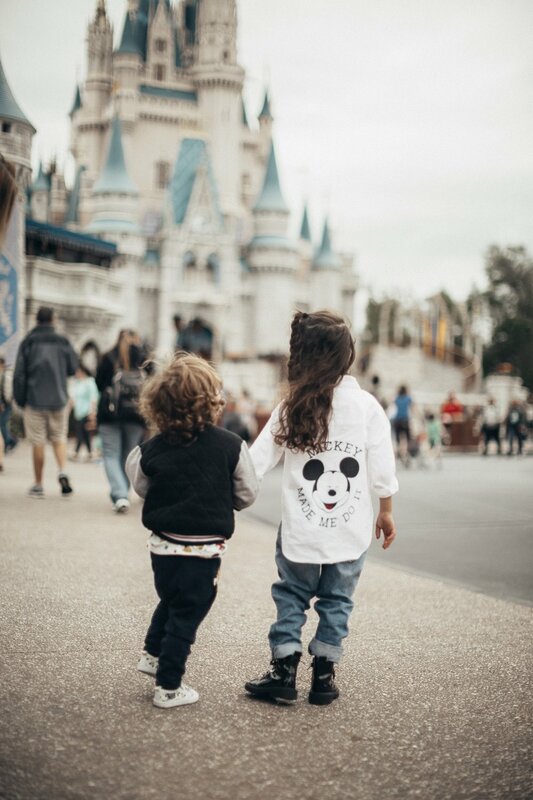 When it comes to Disney, the cost can skyrocket, especially when you have more than one child. The great thing about Orlando is there are plenty of options for you to choose from. I am lucky because I have family and my mother has a timeshare, but every now and again I decide to stay at hotels. I have had the pleasure of staying at the Animal Kingdom Resort, and I can tell you its worth every penny. Our room balcony opened up to Giraffes walking by; if that doesn't scream magical to you I don't know what will. Disney has hotels at all prices, and honestly, that will take research on your end. You do have the option of calling their customer service number, and someone can help you plan your trip at your budget. Early Access to FastPass+ Planning: This can be great for your family because its saves time on lines and you get to plan out your day. Complimentary MagicBands: Magicbands because you can add a budget on them of what you want to spend while at the park. Disney Dining Plans: This gives you guys options for the food you want and also budget. Two hotels I enjoy when staying in Orlando are The Four Seasons and The Ritz Orlando Grande Lakes, both are amazing and have free access to the park. They are on the pricey side but for me worth it. However, there are so many places Airbnb styles that are close to the park that can help with the cost. While at the Park there is so much to do so I can't tell you what rides to go on because you really can't go through everything in one visit, it's just not going to happen. If I can suggest two things you must see is Disney's daily parade which I linked times and presentations for each Park. 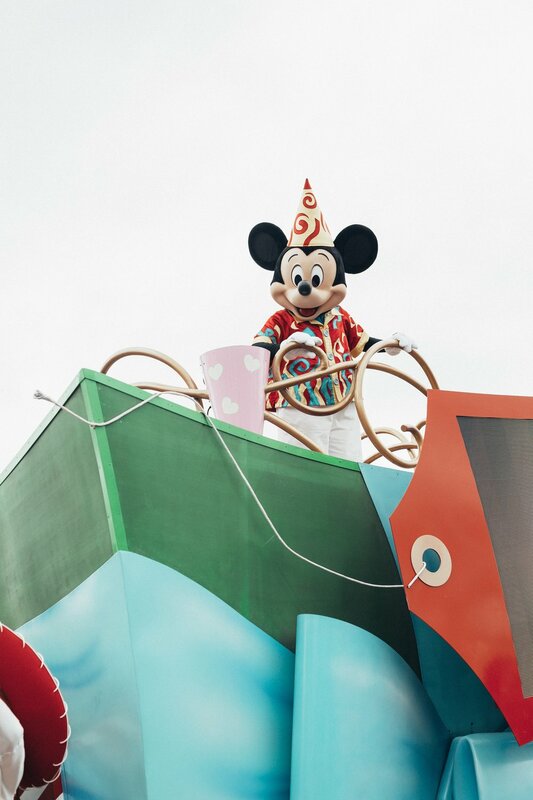 The Parades are so cute, and you are guaranteed to see all your favorite Disney Characters. I also would suggest making sure you view the Magic Kingdom fireworks, there is nothing like seeing a beautiful display in front of the Castle. I do recommend once again the Fast pass ahead of time especially for character meetups. I can tell you that Disney doesn't lack choices in this department... If you have a craving, Disney has it. I will, however, say book in advance as restaurants book fast. There are regular walk-ups but these are for those of you that are looking for a fast pace type of dinner, but if you are looking for a nice sit-down dinner most book quickly so head here for a list of options. 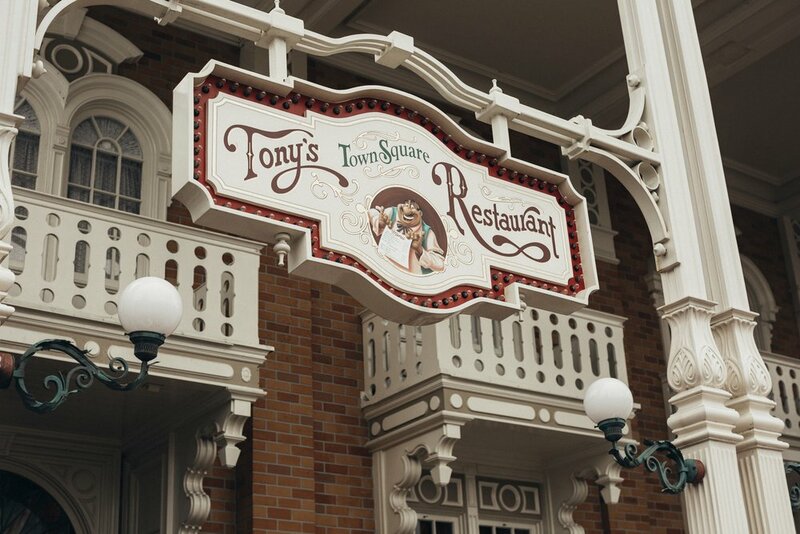 This past trip we tried Tony's Town Square Restaurant which is based off The Lady and the Tramp movie. The food is American Italian cuisine and let me tell you it was sooo good. The average cost per adult is $15.99-$34.99. I like to try a new restaurant each time I go, and I have yet to have a complaint about any food at Disney. Ways you can save is by merely purchasing Disney memorabilia at local Targets in Orlando; they have clothing and other items for purchase like rain ponchos, fans and more so I would say save that way. If Disney tickets for each day are not in your budget, head to Disney Springs, there is so much for your family to do there and they even have live music and dance parties for the kiddos. Many of you asked me to re-share where I shop for our family outfits. 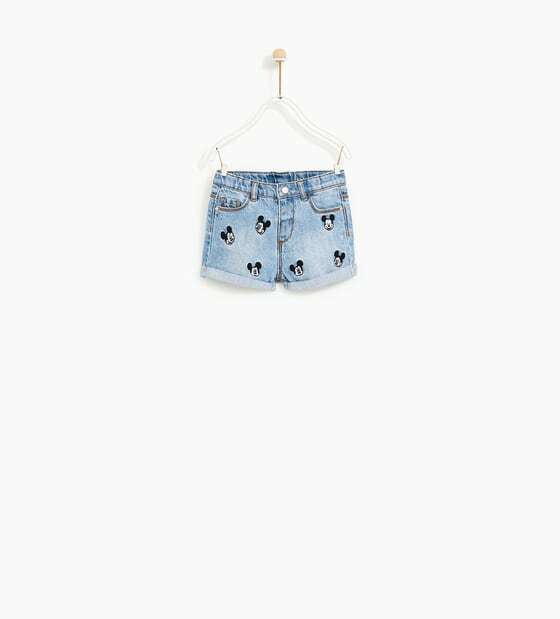 I honestly buy through the year because I know I will head to Disney at some point, so if I see something cute I purchase it. 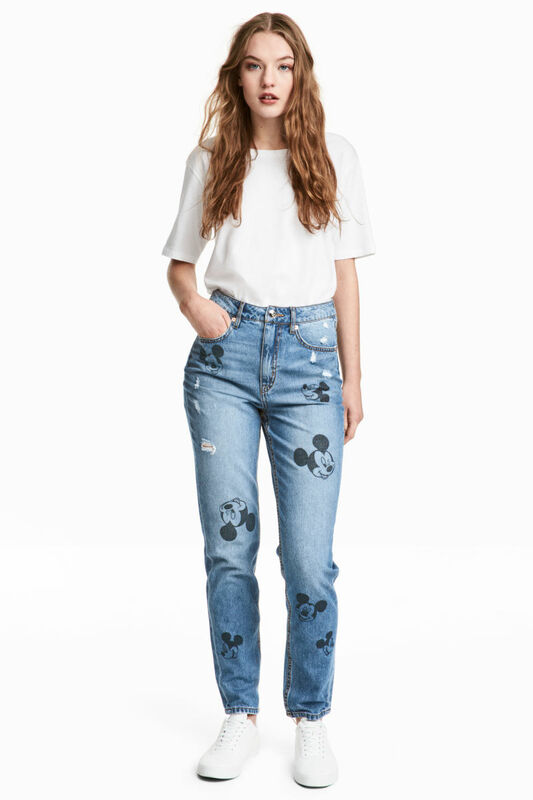 My favorite will always be Zara because they are not cheesy Disney style and I fit in the largest size in girls so I can always find a good mommy and me look. My second favorite is Gap/Old Navy, both still have cute Disney items and once again for me I fit in their girls XXL so I can always find a good mommy and me look. 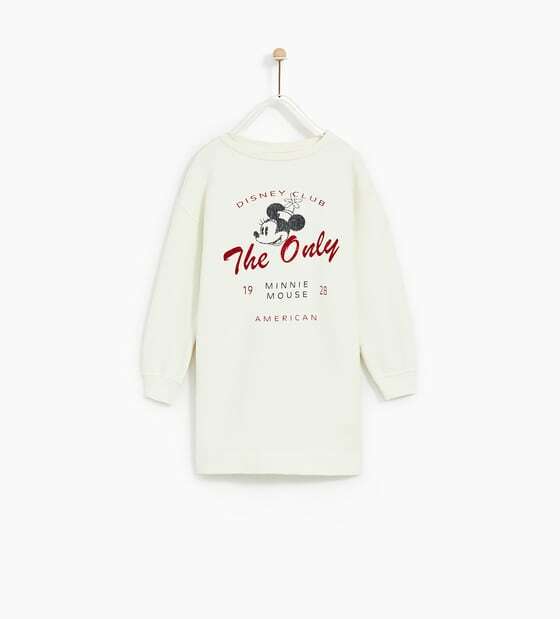 The third is H&M, I mostly find cute things for Ayden, but currently, they have a pair of Mickey jeans for women that I snagged a couple of weeks ago. I also like to look at Target and Amazon. I linked some of my favorites I just snagged. I hope I answered all of your Disney questions, if not comment below and I will answer your questions.